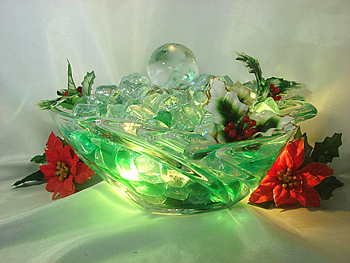 Illuminating faux ice surrounds the spinning glass earth globe on top. Decorate with your favority ivy, Holiday Holly or use nothing at all. This fountain looks as beautiful as it sounds. Comes with easy to understand instructions and sets up in minutes. Enjoy FREE SHIPPING on this item as well.